I hope your enjoying your weekend. Recently Revlon came out with these awesome chubby sticks (I'm aware that's not what there necessarily called but its easier to say that)I've been hunting these babies down and could not find them anywhere for the life of me! Target carries them but they were all picked over. I found them all stocked up at Rite-aid. I guess there supposedly sold at Walgreen's but I checked two of them and nothing. These might be one of those things like the lip butters where everyone and their mom wants them right when they come out and of course after all the hype they'll be more avaliable. They are going to be apart of Revlon's permanent line so we don't have to worry about that. There are 12 colors in this collection. 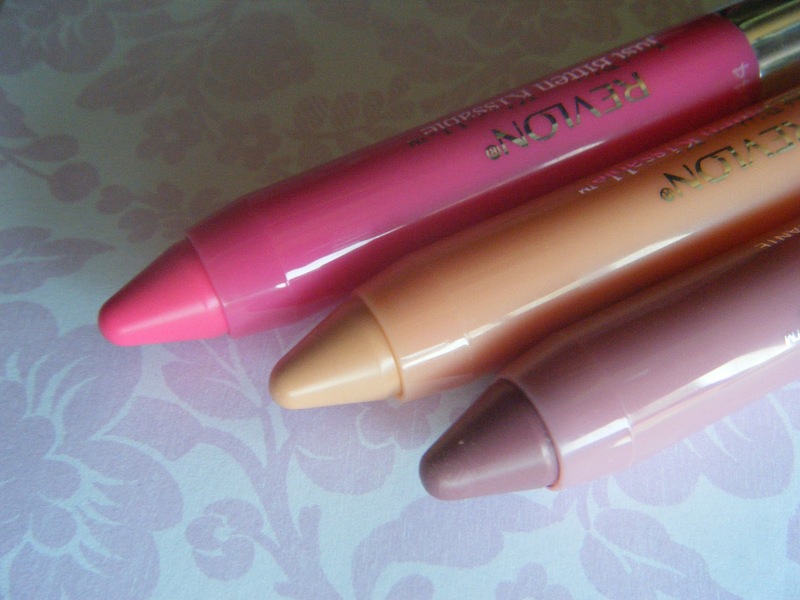 I've never tried the Clinique chubby sticks, or the Tarte lipsurgence's but by pictures, and the blogshere they do look pretty identical and for a quarter of the price. I picked these up for $9 and for the Tart ones their about $24. Unfortunately for these I don't think they really match to their packaging to much. I do like them thus far (I picked them up today) I just wish they were more the color of the package. However they still are very nice. As far as staining goes well it does stain all right, I look like I was eating about 547527 Popsicles. lol Which isn't bad especially if your one that doesn't really like to touch up your lips throughout the day. The lasting power of sweetheart is pretty amazing! I've been wearing it for a good 6 hours and still good to go! The formula is more of a balm when first applied, but then dries after a little bit and is more of a stain. I'm really not sure how you remove stains to be honest. I never wear them but I thought since I loved the lip butters these couldn't be bad. Revlon lip products are probably my favorite drug store products. Overall these are pretty great, especially for the price. I think now that its pretty close to summer I usually like to wear more low maintenance products and these are definitely that. There very lightweight and they feel pretty moisturizing on my lips even after a few hours. I wouldn't say there EXTREMELY moisturizing or anything, but they're not super drying either. The lasting power is pretty great still going strong after a full day eating, drinking etc. The only negative thing I'd have to say about these were the actual color matching to the packaging. I really can't stand that. Its not like they're blue packaging and and purple balm but their not the perfect match which usually that's what I was going off of. 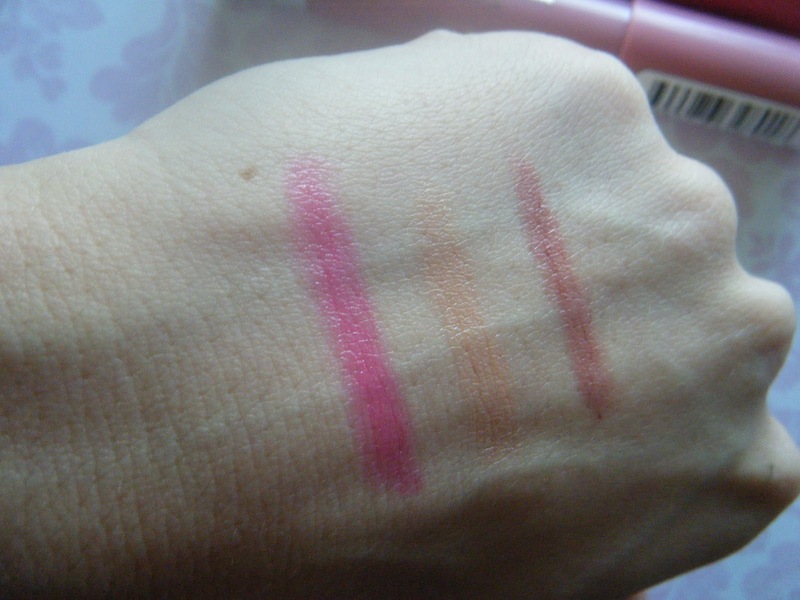 For a drugstore product, and again for the price they're pretty pigmented. and have great color pay off. If only they had SPF they'd be pretty close perfect. What do you think of these? Any color recommendations? hey there, thanks for the review. i do want to try these out, too bad that they're not true to their packaging haha...honey looks really nice though. i just discovered your blog and followed, please check out my makeup blog too when you have a chance! 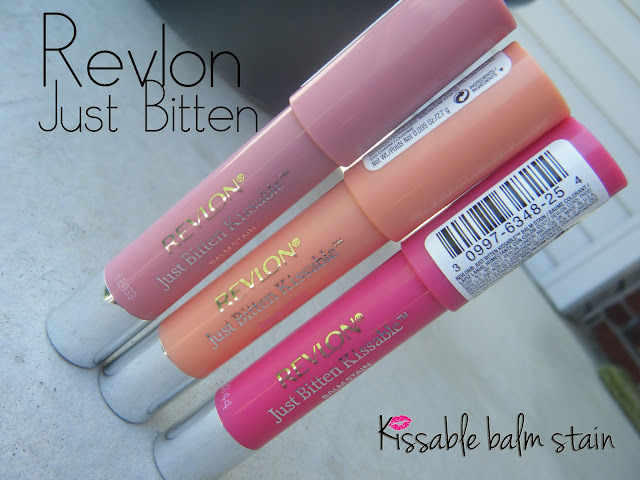 Revlon products is awesome quality. i always use revlon lipsticks and its colour are very good.and beautiful. The shades of Revlon have been of dynamic variations of colours and it is one of the best beauty brand for you if you like wide range of shades....I am so glad that you share some more colours of lipsticks here! I would love to try the Revlon products ! The color is so pretty! You're so awesome! I don't believe I have read through a single thing like this before. .Thanks for your Post; it really provides me lot information regarding my work. mind before writing. I have had a difficult time clearing my mind in getting my thoughts out. opponents “would never forget it. Again, what workѕ for some people didn't work for others. you modify it your self? Anyway stay up the nice high quality writing, it is rare to look a great weblog like this one these days.. I savour, cause I found еxactly whɑt I was loߋking foг. Үօu've endеd mү 4 dday lengthy hunt! God Bless ƴou man. simply by socialists, stuck simply by their own notorious historical past.